Speaking from his adopted home in Port Elizabeth, Harrison’s words are not those of someone resigned to the hardship and inequality of life in the country, but a reminder of the daily challenges he faces in his work with children and teenagers. For, since 2012, the BSc (Hons) Social Work alumnus has been using all of his skills and expertise to lead developmental, recreational, therapeutic and caring services for the youngsters on behalf of the Maranatha Streetworkers Trust. There are around 32 children, aged between 5 and 19, at the residential youth centre in Port Elizabeth, called Siyakatala, where Harrison is part of the management team. Many have been removed from their homes for their own safety; others have been orphaned or were found begging on the streets. In most cases, Siyakatala will work to find family members for the children to stay with, but for many, the centre is their home. Through the centre, the children attend weekly scouts and cadets sessions; learn to swim, dance and carry out life-saving techniques; and undertake musical and occupational therapy, in addition to receiving counselling and remedial therapy. The boys can play for the football team in a local league, and there are group outings as well. 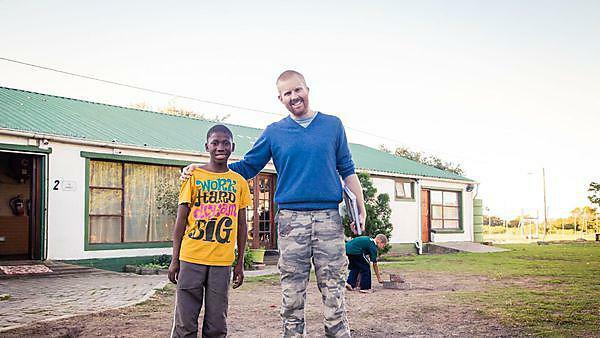 Harrison first developed ties with South Africa in 2007 when he volunteered as a teacher and activities coordinator during his gap year in order to “broaden his horizons”. It proved a transformative experience. A second gap year followed, and a rethink of his degree plans: marketing was supplanted by social work so that he could use his skills directly to benefit the people. During the first year of his degree, Harrison founded the Maranatha Care Children charity to help fundraise for some of the projects he had been involved with, such as Protea Primary and a new community project in a rural area of Nieu-Bethesda. And he also supplemented his degree with training on play therapy and other counselling techniques. Harrison has since developed what he describes as a “wonderful support network of friends”, with whom he socialises on a weekly basis. His parents also flew out to see him last Christmas, and took part in celebrations at the youth centre. And his work has earned him recognition at the highest level, as in January 2016 he was presented with the British Citizen Award, an honour which left him “truly overwhelmed”. “Since being in South Africa I have been able to share in many amazing experiences with the young people I work with on a daily basis, and they are the real heroes,” he says. “My most valuable achievements are seeing the development of such children who came from the worst circumstances imaginable to actually become successful independent adults in their own right.